Some CAT Mobile Phone User Manuals PDF are above the page. Caterpillar (CAT) is known as a manufacturer of construction equipment, diesel engines, and even shoes. 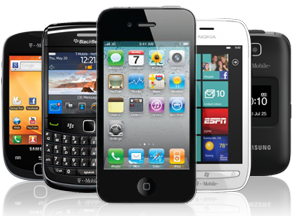 But recently, the company launched the production of mobile phones. Protected CAT phones have been the center of attention at CeBIT 2012 and MWC 2013 due to high rates of reliability and functionality. The story of Caterpillar mobile phones. At the end of the XIX century, engineers Daniel Best and Benjamin Holt created tracks, which were later used not only for agriculture, but also military equipment. From this moment begins the story of the now world-famous company Caterpillar. By the way, translated to English, the company's name sounds like "caterpillar" or "crawler". To date, the American corporation has offices in 50 countries around the world, and the total number of branches has more than 480. Russia also has CAT plant located in Tosno, Leningrad region. But what prompted such a well-known manufacturer of specialized equipment to start producing mobile phones? The fact that producers and users of Caterpillar products, like no other they know the conditions in which to work to builders and the military, as well as what equipment they need. This is what prompted the company executives engage in the production of shockproof Caterpillar phones. The range of mobile devices, from the American manufacturer, Caterpillar presented smartphones and only one version of the push-button phone - CAT B25. This is due to the fact that the issue of CAT smartphone came in 2012-2013, when the one-piece with a mechanical keyboard virtually lost their relevance. 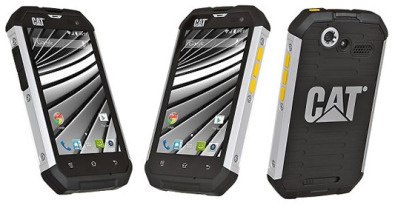 CAT B10 - "pioneer" in the line of smartphones CAT. In 2012, this smartphone was presented at the CeBIT exhibition held in Germany. The exhibition offered to all who wish to mix the cement in the concrete mixer, where the Q10 smartphone. After the experiment the phone was washed in water, wiped and demonstrated its operation. 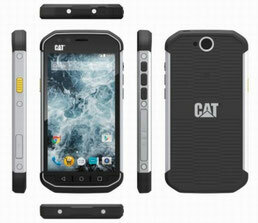 CAT B15 - replace the sensational smartphone models come B15, more powerful, stylish and functional. It has been equipped with the latest generation operating system - Android 4.0, and has two varieties: the support of two and a SIM-card. Cell Phones Caterpillar secretly called the "mobile tanks" or "mobile SUVs." Such nicknames they got through endurance and reliability, therefore ideal for people serious and extreme professions, where every detail can be vital! Look - NGM Mobile Manuals PDF.